Boat Rentals - Seeking an alternative to the everyday routine? Hit the water with any one of our awesome watercraft. Whether you have a need for speed, or want to cruise on the water for the day, we have it all. Choose from our selection of single or double-deck pontoons with slides, waverunners, center console run-a-bouts! 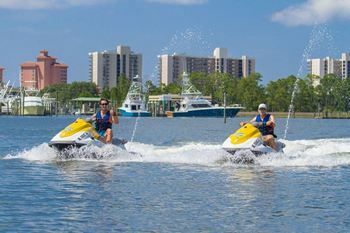 Waverunners - Have a blast on the water with the newest waverunners on the island. Offering rentals where you're the guide of your trip, or Guided Waverunner Tours with a knowledgeable guide who can show you all the hot spots, offer interesting information of the area and hopefully show you some bottlenose dolphin! Runabout Boat Rentals -Want a little more speed? Or try catching some fish in the bay? 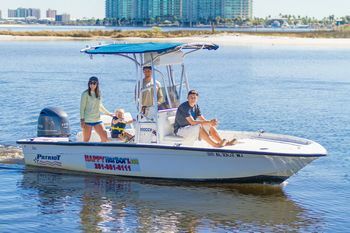 Check out our wide variety of center console runabout boats! 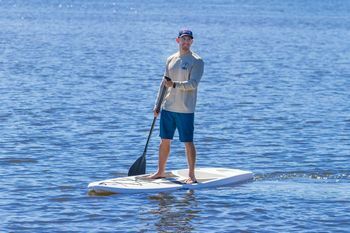 Maybe you'd like something powered by your own 2 arms, we offer single and tandem kayaks, as well as stand up paddleboards. 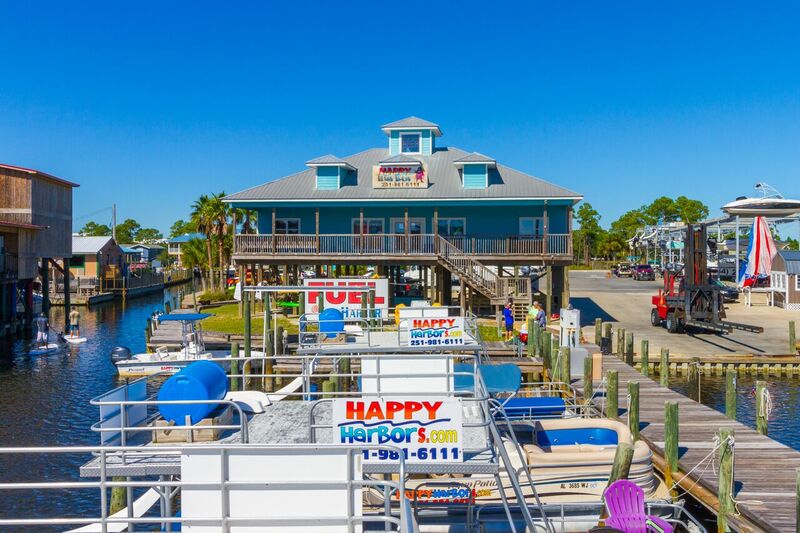 The Happy Harbor Dock Store has everything you need for a day out on the water. 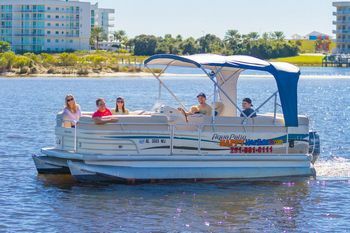 From drinks, snacks, ice, beer, beach towels, sunscreen, water toys, sunglasses and more, we've got everything you'll need for your boating excursion! 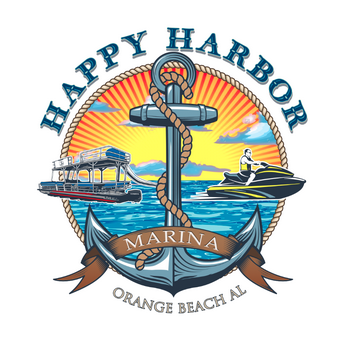 With a clean and professional atmosphere, Happy Harbor Marina is your one stop for everything boating related! 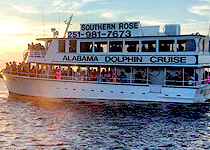 Dolphin Cruises - Our dolphin cruises leave from Happy Harbor Marina, in Orange Beach. Our dolphin boat, The Southern Rose, is a spacious double-deck cruiser with inside and outside seating on both decks and air-conditioned seating on our top deck. There are two restrooms located on-board for your convenience. 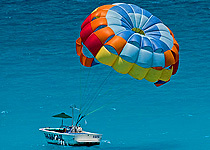 Parasailing - There's no better way to take in the picturesque scenery of Alabama's coastline than from above. Southern Rose Dolphin Trips has been offering the best parasailing adventures in Orange Beach, Gulf Shores and Perdido Key since 2004, and you can be the next person to take an unforgettable flight with us. The gulf and inland waters around Orange Beach are home to hundreds of dolphins. 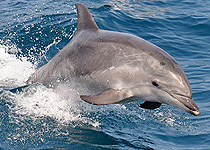 Encountering these beautiful mammals on boat or a waverunner is a special treat. Bring your boat on vacation store it with us! No need to worry about leaving your vessel overnight somewhere, store it at Happy Harbor's safe storage marina! With multiple dry storage racks, and a big trailer parking section you can choose between having us haul your vessel in and out of the water with our Wiggins marina bull forklift, or leaving it on your trailer in our gated lot. 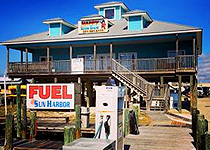 Happy Harbor Marina specializes in yearly, monthly, weekly or daily storage. We can pick up boats up to 30 feet long. If you would like an extra cleaning or detail on your boat, we have services to set that up for an additional fee.